Unfortunately, no matter how great or safe of a driver you are, it’s very easy to slip up and get a traffic ticket. Not only will a traffic ticket put you out of at least a few hundred dollars, but it will also taint your otherwise (hopefully) perfect driving record. In the event that you do get a traffic ticket, here are five no-fuss ways to get out of a traffic ticket. 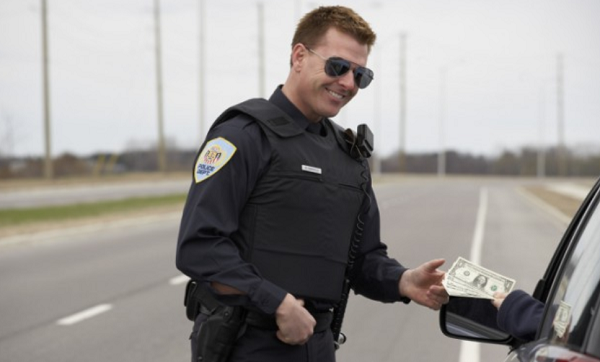 Resorting to flirting or bribery is a huge mistake that many people commit while trying to get out of a traffic ticket. Unlike how police officers and other employees of the government are portrayed in movies and TV shows, very few police officers in real life are corrupt enough to fall for bribes or blatant attempts at flirting. No one likes to have their integrity questioned or insulted and police officers are no exception to this rule. Instead of flashing money or skin at a police officer, you should try flashing a smile. As the cop approaches your car, wave and try to look as non-threatening as possible. Keep both hands on your steering wheel during the entire encounter. This will show that you care about the officer’s safety. Police officers risk their lives daily and are understandably often concerned for their own safety. If possible, make small talk with the police officer and ask them about their day. Such actions will humanize you in the eyes of the police officer, making it harder for him or her to give you a traffic ticket. Many people make the mistake of paying the traffic ticket immediately. Not only is this an automatic and voluntary admittance of guilt, but it also eliminates one’s chance of getting out of a traffic ticket or at least having the fine reduced. In most cases, you will have 90 days to either pay the traffic ticket or enter a plea, so you shouldn’t be in any rush. Instead, spend some of this time exploring your options. If you have no previous tickets in the jurisdiction, ask the court’s clerk for a “no contest” plea. As a first-time offender, your fine may be reduced and the citation may not be reported to your insurance company. This will allow you to at least avoid the rise in the cost of car insurance that often follows a traffic citation. If you do not qualify for a “no contest” plea, you should scrutinize all information on the ticket. Before you pay the traffic ticket, confirm your information and the documentation and notes provided by the police officer who gave you the traffic ticket. Ensure the location, time of day, intersection, and citation number are all correct. If any information is incorrect or missing, you may be able to have the citation dismissed. If you can prove your conduct was a “mistake of fact,” you can get out of your traffic ticket. “Mistake of fact” refers to an error made due to circumstances beyond one’s control. A traffic ticket will be dismissed if it is deemed a “mistake of fact,” or simply a reasonable, honest error. A good example of a “mistake of fact” is getting a traffic ticket for running a stop sign if a broken branch after a storm obscured the stop sign from sight. Another example of a “mistake of fact” is if you did not stop at the pedestrian crosswalk markers because they happened to be too faded for you to see. If possible, you should take pictures to serve as proof as to why your mistake was out of your hands due to the situation. Another way you can have your traffic ticket dismissed is by proving it was legally justified in the context of the situation. An example of an otherwise illegal action that is legally justified is driving too slowly in a left lane to make a lawful left turn. This defense is actually legitimate in all states. This will help your case significantly because you will be raising a legal point instead of just denying the testimony of the ticketing officer, who likely has no reason to lie to the court. If none of the above methods work in terms of helping you get out of a traffic ticket, you should attend a traffic school or take defensive driving courses. Doing so may allow you to get your traffic ticket dismissed, keeping your driving record spotless, and have your car insurance rates reduced.